Life-threatening, pregnancy-related complications — the iceberg beneath the surface of the U.S. maternal health crisis — are on the rise in Harris County, according to a new report. The report not only confirmed the Harris County rate is worse than that of the state and nation, it found that it increased more than 50 percent between 2008 and 2015. Texas’ rate of life-threatening, pregnancy-related complications went up 15 percent in the same time period. 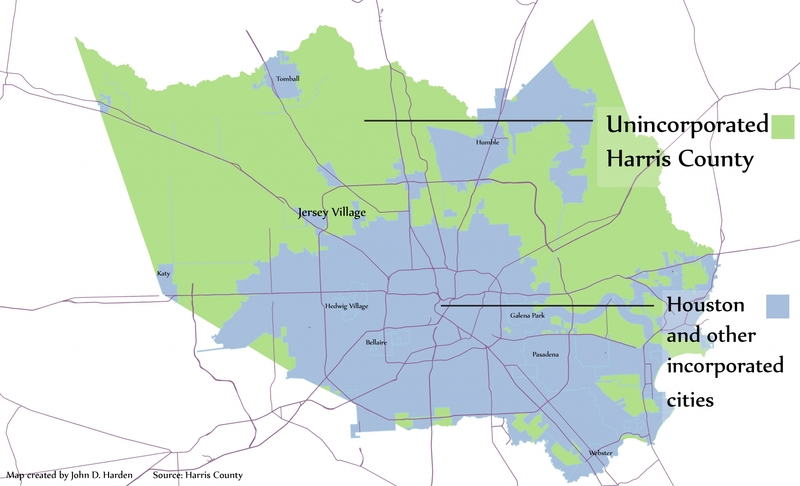 “In subtle and unintentional ways, women’s health in Harris County has been subjugated to the health of babies so profoundly that the health of women of childbearing age is often not prioritized,” says the report, a project of the Houston Endowment. 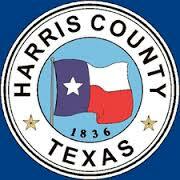 Hollier and Dr. Cecilia Cazaban, the report’s principal investigator, said it is unclear why Harris County’s rate is increasing at such a high rate. They said that analysis is next on tap for the task force. The new report focuses on severe maternal morbidity, the term for conditions that require such treatment as a respirator or blood transfusions or hysterectomy during delivery or in the immediate hours thereafter. It can lead to maternal death, but even when the patient survives, it can cause damage, such as kidney or heart failure, sometimes requiring lifelong treatment. 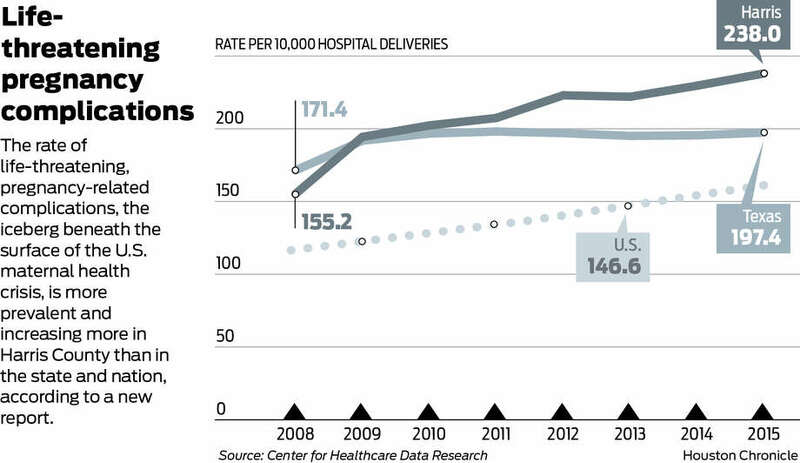 It also is costly to the patient and health care system. Harris County’s rate of severe maternal morbidity in 2015 was 2.4 percent, meaning there were 238 cases for every 10,000 deliveries. The 2015 rate was 1.97 in Texas and 1.46 in the United States. See here for some background. The task force website is here, though I don’t think this report is on there. I hope there’s no need for me to say anything more than we really need to understand this problem so we can solve it. What a great addition it has been. Discovery Green opened a decade ago this weekend, drawing 25,000 people to the long-dormant east side of downtown to gawk at parading Clydesdales, dogs in costumes, a puppet show, a magician, musicians and dancers. Skeptics said the 12-acre green space in front of the George R. Brown Convention Center would become a homeless encampment, that no suburbanite would drive all the way downtown to see a park, that the $125 million the city and philanthropists had jointly invested would prove to be a waste. Visitor counts immediately outstripped consultants’ projections, which leaders had worried might be too optimistic. Today, more than 1.2 million people visit the park’s 1-acre lake, its playground and interactive water feature, its restaurants, amphitheater, dog runs and public art installations, its summer putting green and winter ice rink. Many visitors are drawn by the 600-some free activities the park hosts annually — from regular yoga, Zumba and salsa classes to film, beer and margarita festivals, 5K runs and even a contemporary circus. Others are out-of-towners meeting Houston for the first time with a stroll through the park, the organizers of the event they’re attending having seen Discovery Green as a key part of city boosters’ pitches for major conventions, Final Fours, All-Star games and Super Bowls. Bob Eury, executive director of the Downtown Management District, said the space has succeeded by functioning as both the city’s backyard and its front door, drawing Houstonians and conventioneers alike. 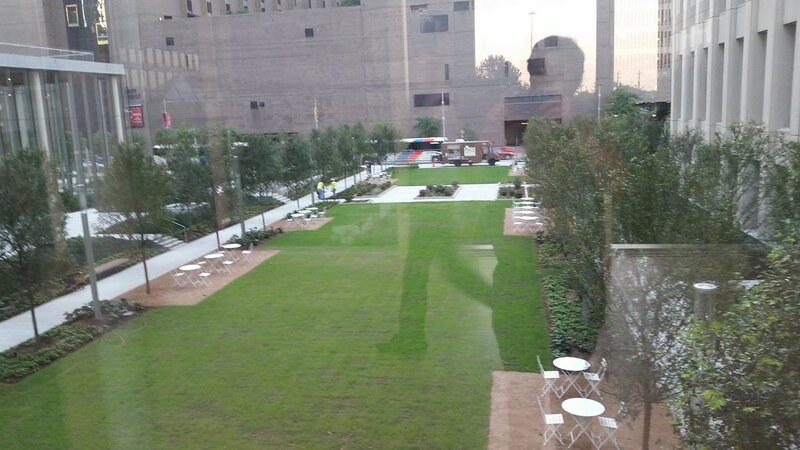 Not to put too fine a point on it, but some of that skepticism of Discovery Green was rooted in political dislike for then-Mayor Bill White. Not all of it – this was a new and untested thing being done downtown, where many previous attempts at luring in people outside of business hours faltered – but some of it was. My kids are older now so we haven’t found many reasons to visit lately, but we went there a lot when they were little. It was a great place for the young ones – the playground was super, and there was just lots of room to run around and have fun. 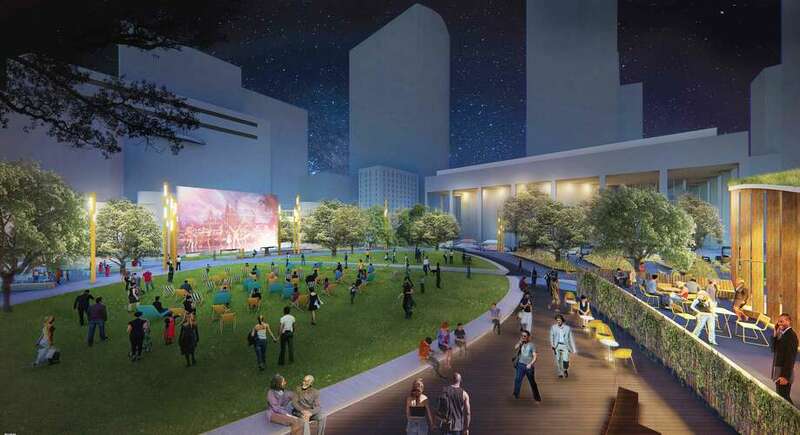 It really has been a game-changer for Houston – can you imagine downtown without Discovery Green now? 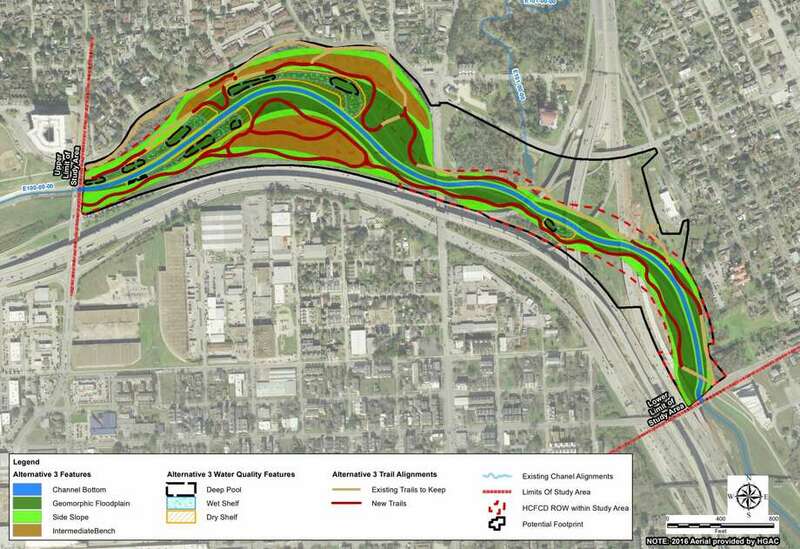 – and I’m so glad Mayor White had the foresight to push for it. May there be many more happy years to come. 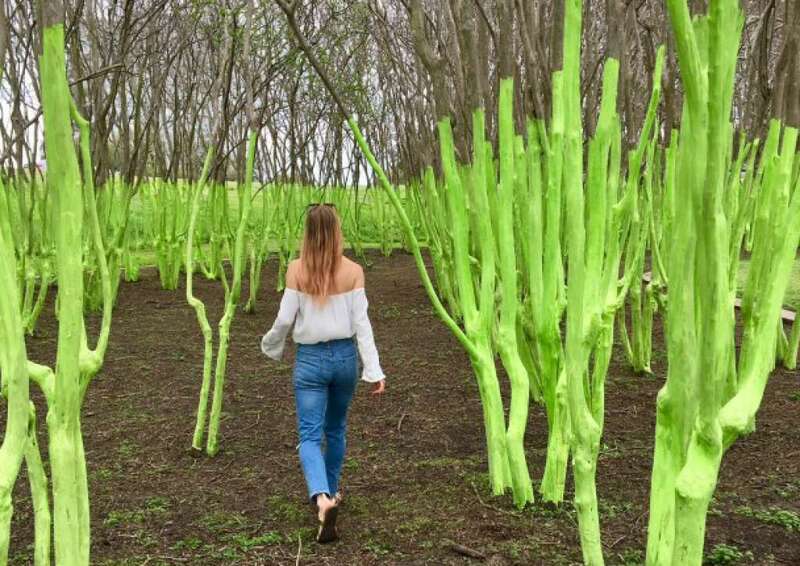 The “Blue Trees” artist has stirred up a hive of trouble for Houston’s parks and recreation department, complaining that the city plagiarized an installation he created five years ago by re-painting the same grove of crepe myrtles. This time, the trees are a vivid green. Konstantin Dimopolous, who engaged dozens of volunteers to help make “Blue Trees Houston” in 2013, said the harmless paint formula he shared was developed over many years and is his intellectual property. Parks department officials beg to differ, pointing out that trees have been painted for centuries, across cultures. “We thought we did our homework,” said Abel Gonzales, the parks department’s deputy director of greenspace management. 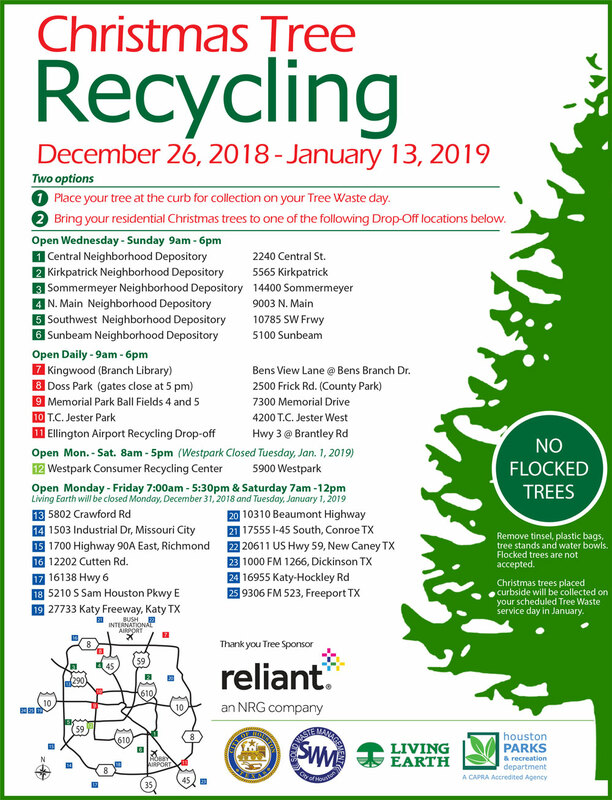 He said he cleared the green paint project last October with parks department planners who told him there were no other active agreements for art among the crepe myrtle groves within the traffic cloverleafs at Waugh Drive and Allen Parkway. He chose the same area Dimopolous had used because it’s a high-profile location, he said, and also because crepe myrtles have smooth trunks that make them easier to paint than, say, oak trees. Dimopolous said he was not after money or a lawsuit, but he did want an apology — and he wants the green paint removed, because people think the new work is his. “It looks horrible, and it really has no relevance anymore here,” said Dimopolous, who is in Houston working on a large commercial commission. He is building “Windgrass,” a tall, stick-like kinetic sculpture for Bridgeland, next to entrance signage for the 11,400-acre, master-planned community along the Grand Parkway near Cypress. Gonzales and others in the parks department aren’t likely to concede that they’ve done anything wrong. “We’re sorry he’s upset, but no one even thought about him,” Gonzales said. One of the Parks people, who wasn’t in Houston when Dimopoulos did his installation in 2013, said she came up with the paint for this work on her own via trial and error. On the one hand, I agree that painting trees isn’t a new or unique idea, and the fact that an artist once did this doesn’t preclude anyone else from ever doing it. On the other hand, it would have been nice to give the guy a heads-up, especially since it’s the same location and he’s back in town on another project. Beyond that, I say I was glad to see the new painted trees when I first spotted them a few weeks ago, and I hope to see more art like this elsewhere in the city. Glasstire and It’s Not Hou It’s Me have more. Your favorite Instagram spot is moving to a new location. 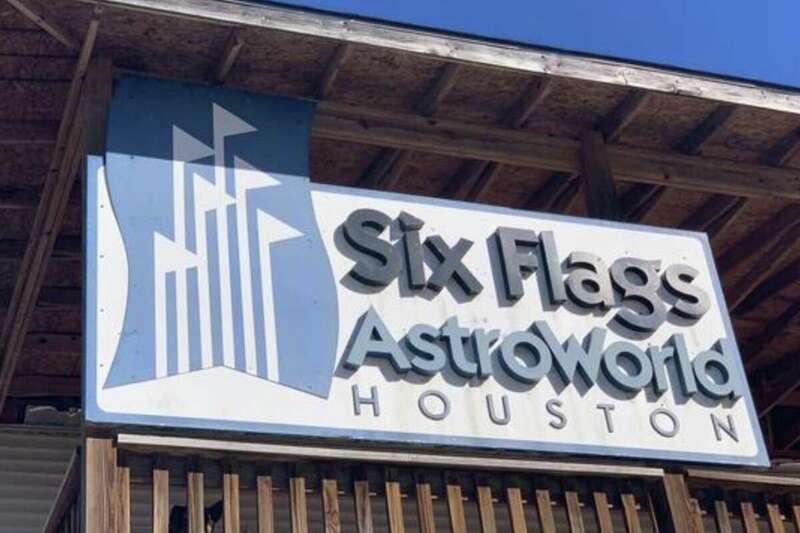 The “We Love Houston” sign you’ve seen either near I-10 or in Instagram selfies is on the move. Artist and die-hard Houstonian David Adickes told Chron.com in previous interviews that he planned to move the work, which features concrete letters ranging from 5 to 9 feet tall, separated by a 9-foot-tall heart, from a spot just south of I-10 East near Yale to more hospitable surroundings for the art and its fans. Housing development behind the installation had cluttered the sentiment since it appeared back in the summer of 2013. It used to be at his former art studio SculpturWorx off Summer Street, near his Beatles statues and presidential heads. According to KTRK-TV the signage is moving to a promenade near the 8th Wonder Brewery, which is the current home of the towering Fab Four statues. Chris Alan, who runs the Houston pop-culture site It’s A Houston Thing, told the outlet that this way Houstonians will be able to safely take pictures in front of it. That’s something that Adickes had always wanted anyway. He is a fan of people of all walks of life enjoying his outsized art. See here for some background. 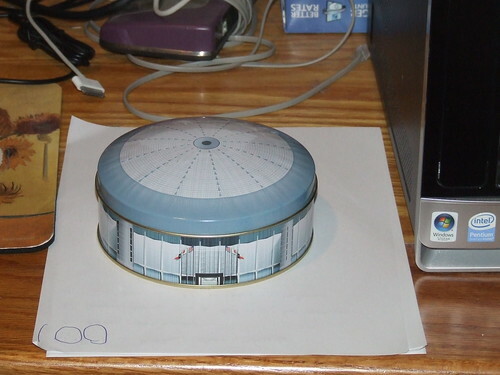 My fandom of all things Adickes is well known, and that includes this particular piece. Which was near where I live, but as of Sunday is not any more. I’ll miss it now that it’s fone. Here’s a map showing the new location. Having it at a brewery does have some advantages, and maybe now I’ll remember to get a picture in front of it. As recently as three years ago, Houston’s animal shelter put down half of the dogs and cats that came through its doors in a busy month. Now, five times in the last year alone, the city’s Bureau of Animal Regulation and Care finished a month having euthanized fewer than 10 percent of the animals it took in, achieving, at least momentarily, the coveted “no-kill” label that animal rights activists have sought for years. BARC is a rare bureaucratic success story, having evolved over the last decade from an embarrassment for city leaders and the cause of outright rage among animal activists to a broadly respected facility that has managed to get ever-increasing numbers of animals into the hands of rescue groups or new owners. The shelter’s progress even led the City Council to increase its budget by $2.6 million a few years ago to help answer more of the 55,000 calls citizens place to BARC each year. Now, shelter leaders and their nonprofit partners confront a once-unthinkable milestone: Could Houston’s pound achieve “no kill” status? “Our rescue partners have played a major role in how far we’ve come thus far and will continue to play a role in continuing to increase those live release numbers,” [Ashtyn Rivet, the facility’s deputy assistant director] said. Chief among those partners is Rescued Pets Movement, a local nonprofit that gets $75 in city money for every animal it takes from BARC and relocates, often out of state, to a foster group or a new home. The group has handled more than 22,000 animals for BARC during their roughly four-year partnership. A key reason for BARC’s low kill rate in recent months, Rivet added, is a burgeoning partnership with Houston Pets Alive! and its more established cousin, Austin Pets Alive!, a group that was instrumental in helping that city achieve no-kill status several years ago. That nonprofit has taken 975 animals from BARC since August, only 14 percent of which were in good health. Avoiding having to put down ill animals will be a key way to further boost BARC’s live release rate, Rivet said. Just getting BARC to a point where it is fully functional was a big win. Getting it to full no-kill status would be amazing, and a very worthy goal for which to aim. Kudos to all for the major progress. City planners’ ambitious 20-year vision for downtown Houston includes more of everything that has transformed the central business district into a more vibrant destination. More apartments, restaurants and shops. More walkable parks and attractions. More innovative startups and Fortune 500 businesses. But with new technological advances and cultural shifts, Central Houston Inc. also envisions a future when downtown denizens overwhelmingly use driverless cars, electric vehicles and ride-sharing apps to get around. 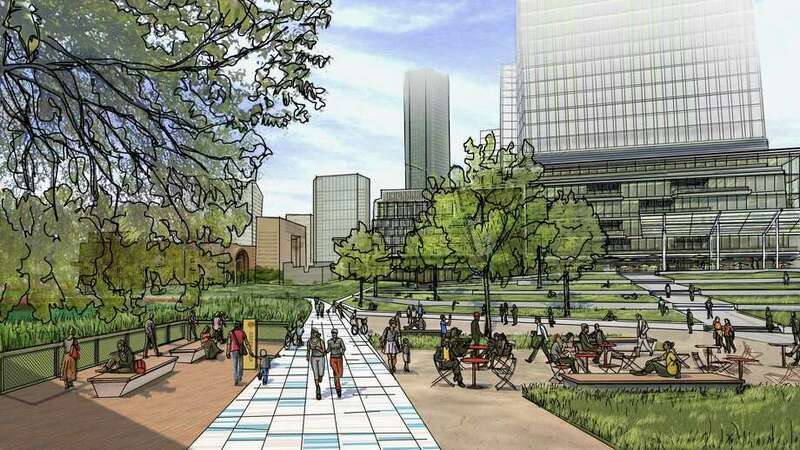 “By starting now and working together, we can position downtown to be a leader in connectivity innovation and adapt to these new changes,” Central Houston President Bob Eury said as he unveiled the “Plan Downtown” vision at the organization’s annual meeting Friday. Central Houston imagines a downtown featuring electric vehicle charging stations, dedicated lanes for autonomous buses, and pickup and drop-off zones for ride-sharing vehicles and autonomous taxis. Sidewalks will have digital “way-finding stations” with maps to help visitors navigate downtown. Public Wi-Fi will extend to pedestrian walkways, parks and other public spaces, Eury said. What will be absent from downtown’s streets of the future? Traffic lights. I wish there were a black-and-white newsreel to accompany this, like the ones from the 50s that talked about what the world would be like in the year 2000. You’ll have to use your imagination when you read the report for that. 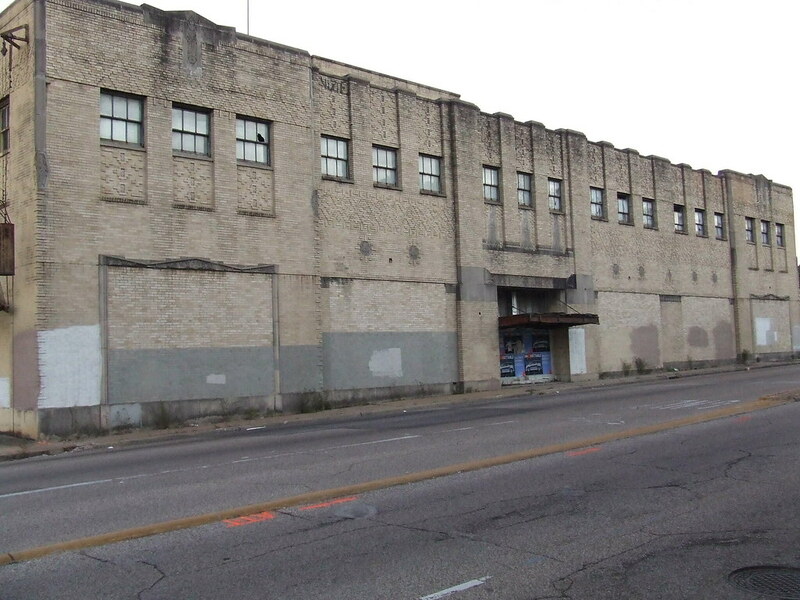 Nancy Sarnoff, Swamplot, BisNow, and the Houston Business Journal have more.